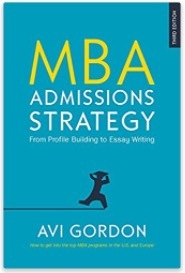 As a follower of many blogs in the MBA admissions ‘space’ I know, as you probably know, that they are of mixed quality. 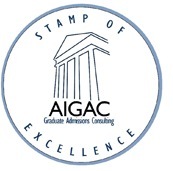 But the musings of AIGAC-accredited MBA admissions consultants is generally good, and I find we are of one mind on most important matters. So no surprise that today’s post is a hearty agreement with Linda who recently recommended the book Made to Stick (Random House, New York, 2007) by Chip and Dan Heath, on her Accepted blog. I read the Made to Stick hot-off-the-press two years ago, and have integrated every aspect of it into MBA Studio’s client offerings ever since. It’s not the only resource I use of course (and my own MBA Admissions Strategy, which predates it, has many of the same principles.) But Made to Stick is unsurpassed in focusing on one single thing: getting a message across. Formulating it so that the reader reads it, understands it, remembers it. So, as I have said consistently to MBA Studio clients and whomever else would listen: this is the single best “non-MBA” guidebook for MBA applicants. Be aware that it won’t help with the key aspects of determining who you are and what your key value points and application platform are — what you want to communicate in the first place (as revealed and coached through MBA Studio’s signature “Profiling” process.) Nor will it help with the specifics of how to manage and beat business-school-specific expectations in essays and interviews and reco’s. But as a book about how to communicate a message, it can’t be beaten, and is justifiably a worldwide bestseller. The Heath brothers have distilled what makes a message “stick” into six principles, which they communicate in a (sticky) acronym, SUCCESs (sic). That is Simple, Unexpected, Concrete, Credible, Emotional, Stories. Chapter by chapter they show how to simplify a message to its essence; grab attention via its unexpected elements, use concrete rather than abstract intelligence; enhance credibility via various proof channels; and achieve emotional connections with the reader. Telling stories that matter, and telling them well, is the key to much of this. Made to Stick has a blog by the way. Unfortunately two years and counting after the book was published, it’s only occasionally active.